In 1942, the Treasury Star Parade broadcast a 15 minute radio play written by Violet Atkins and starring Orson Welles and Vincent Price which recounted the activities of the Yugoslav guerrilla resistance movement led by General Draza Mihailovich. The Treasury Star Parade was a syndicated radio program sponsored by the U.S. Treasury Department and broadcast by 833 radio stations across the U.S. The goal of the program was to promote the sale of war bonds and stamps. The radio play is a taut, melodramatic, and emotionally-charged dramatization of the events in German-occupied Yugoslavia. Atkins based the incidents in the play on news accounts which had appeared in 1942 in Time, Newsweek, The New York Times, and other media outlets. The play reflects the popular perception of Draza Mihailovich and the Chetnik guerrillas in theU.S. in 1942. 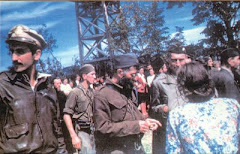 The Chetniks are shown as a resistance group based in the mountains of Yugoslavia. They take the Chetnik oath which means that they are pledged to give up their lives in the resistance struggle. They must sacrifice their homes and families. 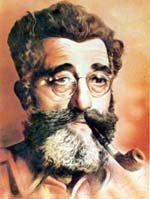 Dushan, the main character in the play, is a Chetnik resistance leader. Atkins adds the personal story of Dushan and Jovana who met at the fair and pledged to each other to marry when they became adults. They had grown up in Yugoslavia, a country formed out of World War I. This was the only country they had known and were committed to preserve it at any cost. Dushan and Jovana marry and move to Belgrade where Dushan opens a store. On Palm Sunday, April 6, 1941, German forces bomb Belgrade, an open city. Dushan and Jovana are in church when it is bombed and Jovana is killed. “The Chetniks” is a well-written wartime drama that is overwrought and emotionally overcharged. The high intensity and emotional appeal are effective. The radio play is a drama and as a dramatic work it succeeds well. This is not meant to present facts but to appeal to emotions. The play relies on the popular perceptions of the Chetniks in 1942 as presented in the U.S. and Allied media. Violet Atkins had written scripts for not only the Treasury Star Parade but for other radio programs such as the Camel Caravan, the Camel Hour in the 1940s and for television in the 1950s, writing scripts for You Are There, Waterfront, and Code 3. Atkins also wrote “V for Victory”, “The Murder of Lidice”, “The Bell of Tarchova”, “Education for Victory”, and “All God’s Children” for the Treasury Star Parade radio series. As a wartime drama, the play succeeds, in the way that Casablanca, Mrs. Miniver, Chetniks! The Fighting Guerrillas, and Undercover (Underground Guerrillas) succeed. The play works in the context of its times, a wartime drama meant to reinforce opposition and resistance to the Axis powers. Historians may debate its accuracy or objectivity, but as a dramatic work, it is successful and effective. Narrator (Vincent Price): The Chetniks. In their gloomy forest back in the hills of Yugoslavia a group of men stand in a half circle around their leader. On the edge of the circle the lookout stands, alert, his gun poised. In the dim half light beneath the great trees, these fierce men take a vow that will consecrate them forever to one service. Listen to their grim oath as their leader Dushan speaks. Dushan (Orson Welles): You will repeat after me: “For the glory of Yugoslavia (repeat) and for the greater freedom of the world (repeat). Take your step forward. Speak your names. 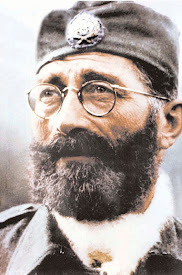 Dushan: Swear to fight for the freedom of Yugoslavia until the enemy is driven from our country (repeat) and God lives again in Yugoslavia (repeat). Narrator: They raise their hands solemnly. Dedicating their lives to that pledge. They’re all dressed as peasants. Many in ragged, patched clothes. Some are barefoot. And each carries on in the only possessions left to him in the world, his gun. his cartridge belt, his knife, and the vial of poison sewed in the lapel of his coat. So he may never be taken alive. Dushan: One for all and all for one until death (repeat). Dushan: You are now each of you a member of the Chetniks. There is no life for you now but implacable war on the Nazis. Subornitz. Strike each name off the list. When you join the Chetniks you are considered nameless, dead. Narrator: Nameless … dead. Do you know what that means, men and women of America? These men and women are only grim shadows now. Without names, without identities. Everything has been taken from them. Home, children, love, church, everything but hate. The flaming relentless purpose that only death can obliterate. 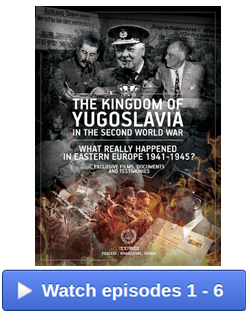 The utter annihilation of every Nazi who set foot on beloved Yugoslavian soil. Look at them now as they stand grim, quiet, almost defaced in the dusk. Waiting for Dushan to speak. He stands with his chin sunk on his chest and then suddenly his lips move. As if he speaks to himself. 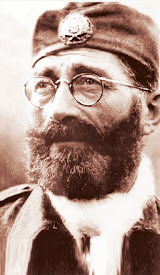 Dushan: Yes, Chetniks, I, too am nameless. But once, I too had a name. I had a home. A wife. Jovana … Jovana … Jovana was part of me. We were children together. We loved as children loved. But we knew we were meant for each other. Even before that day at the fair. Dushan: Give me your hand, Jovana. Dushan: Stand beside me, Jovana. Repeat after me. I hereby (repeat) give my hand and my heart to Dushan (repeat) and pledge my life and my love and my future years to my beloved land Yugoslavia (repeat). Voices: We are witnesses. My sister Jovana and Dushan are pledged. 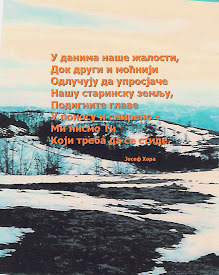 Dushan: So was my love for Jovana and my love for my land interwoven as spruce trees, roots joined by the ties of sweet living. Herding the sheep, learning our lessons together. 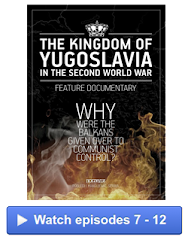 Growing with free Yugoslavia. 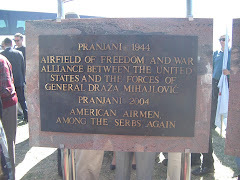 We were the free generation fed on the history of the old and the new Yugoslavia. 500 years of unceasing war against slavery and 25 years of freedom as dear as our blood. And I was 20, Jovana was 18. We were betrothed. All of our village celebrated our day of betrothal. Girls in gay costumes. The fiddlers playing the feast. Jovana: Happy. There is no word for what I feel now, Dushan. It is the most beautiful day of my life. Dushan: You make the day beautiful, Jovana. And I love you. Jovana: Oh, Dushan! I will love you as long as I live. Dushan? Jovana: Sometimes I am afraid. It is too perfect to last. Dushan: It will last, my Jovana. We’ll grow old together. Have children, huh. Voices: You’re blushing, Jovana. Oh, What has he said, Jovana”? Dushan: Jovana and I were married. We went to Belgrad. One year we were given of peace while the world rocked about us. I was only a little shopkeeper in Belgrad, Adolf Hitler. But I was happy. I laughed. I loved. I sang in church on Sundays. We had been married one year. A short time. 12 months to last me all the rest of my life. You who have never known what home and family are, Hitler. You could not know what it meant to see the whiteness of linen around the throat. The gentle face. The young sweetness of her eyes. Jovana was only 19. She was to bear a child. We sat in church on Palm Sunday and sang the hymns together. Jovana: One month more, Dushan, and after that the Christening. Dushan, you do not think the war will come to Yugoslavia? Dushan: No. (To himself.) No, I told her, curling her fingers in mine beneath the Bible. I lied. But God forgives such lies at such times. Men must make it easy for women when they are about to bear children. 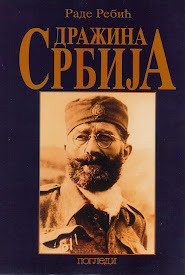 War will not come to Belgrad, Jovana. It is an open city. They will not bomb it. Jovana: Why should war come to little people like us, Dushan, who have done nothing, but grow to be 19? Jovana: Dushan, I want sons, more than daughters, because they will look like you. (Dushan laughs.) And I love you, Dushan. Dushan: Peace on earth, goodwill to men. Palm Sunday. Peace in Belgrad. When is the best time to bomb an open city, gentle fuehrer? Why on Sunday? Palm Sunday in Belgrad. Or Easter Sunday in Sarajevo. Sunday, when tired men rest and walk slowly to church with their families, to pray, sit in familiar pews, and watch the light come from stained-glass windows. Palm Sunday. Bloody Sunday. When the Nazi planes came to Belgrad. Dushan: Don’t be frightened, Jovana. They will not bomb a church. Dushan: They will not bomb a church. Even after all we heard I believed that. We captured two pilots and heard all your plans, Adolf Hitler. German pilot: All hospitals, schools to be razed to the ground. Churches demolished. Bomb everything. Machine-gun whatever moves on the ground. Show no mercy. Belgrade must be destroyed! Dushan: And you destroyed it. You damn murderer, Hitler! You killed my wife. You destroyed my son yet unborn. And hundreds of thousands born only to die by your bombs. You divided Yugoslavia, carved her in pieces. Half of Slovenia you took, the other half you gave to Mussolini. Dalmatia to Italy. South Serbia to Bulgaria. The Yugoslav Batchka to Hungary. But it was only the land that you carved. Only the plains and the valleys lopped from Yugoslavia’s body. The mountains and rivers remained for us soldiers to fight from. 200,000 free men live now in the mountains … in Draza Mihailovich’s ‘island of freedom’. Dushan: This is our army. Draza Mihailovich’s army that mocks your Gestapo. laughs at your cannon, and defies all your planes. Until you have wiped out this army, there will be a half million Nazis killed here on Yugoslav soil. To fight an army of shadows, shadows. Without names. 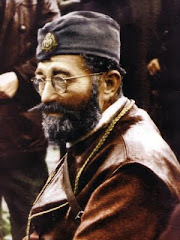 The Chetniks of free Yugoslavia who will one day destroy you. German announcer: Achtung! Commandant for Auschnig killed in Shabac. German announcer: Achtung! A whole German garrison wiped out at Kraljevo. 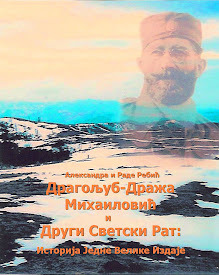 Dushan: Yes, Mihailovich’s Chetniks, Adolf Hilter. The men of no names. They are a name to conjure with now. German announcer: Ten million dinars for the capture of Draja Mihailovich. Dushan: No! A strong word to fill the hearts of free men. As a cannon ball fills the heart of the cannon. One word as narrow and sharp as the bayonet point at the throat of the bully. We have no more to lose, Adolf Hitler. We will give you no peace until every German who dishonored our women, every Nazi who slaughtered our elders and captured our children, is dust with the ashes of our farms and our homes and our loved ones. If a people desire freedom, weapons will grow in their hands! Narrator: Yes, men and women of America. Weapons did grow in their hands. The weapons of nobility and courage and unbelievable fortitude. Freedom is each man’s precious inalienable heritage, to be preserved only with the constant payment of sacrifice. We are asked to make those payments now. But they will be lighter if each of us answers our war bond quota call. It calls for at least ten percent of your total income invested in war savings bonds and stamps. At least ten percent more if you can. Remember every dollar you invest in war savings bonds you are investing in the future security of America. This is your country, keep it yours.